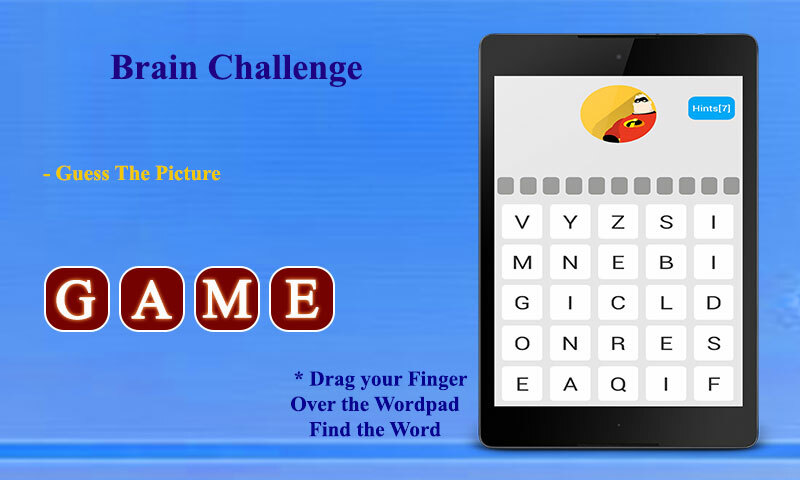 â˜… Word Puzzle Game !!! 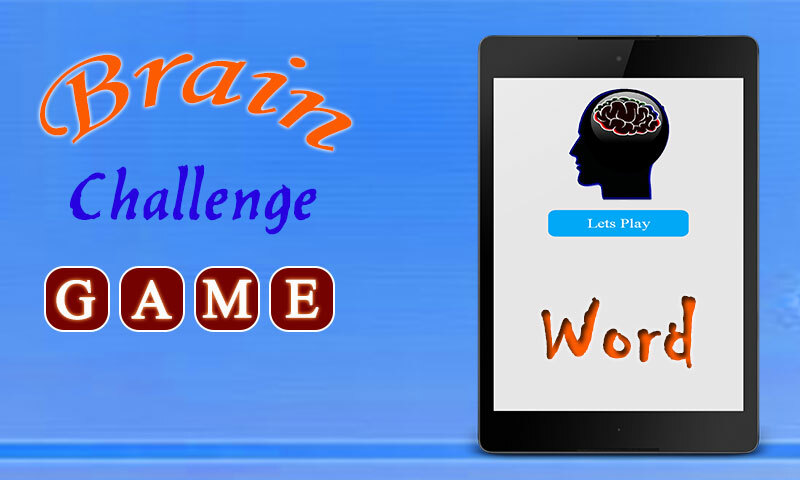 Test Your Brain Skill Brain Challenge App is a lovely Word Puzzle Game for every one, you can boost your knowledge and increase your skill, where you just have to find the word in 4 very addictive game play. 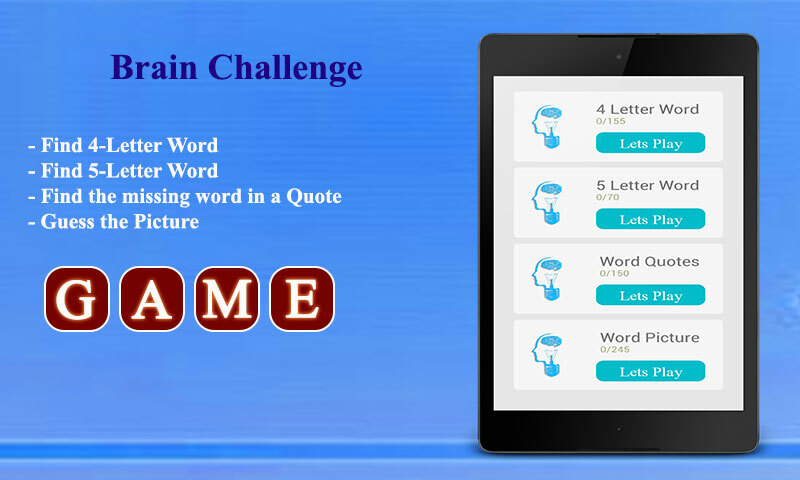 Brain Challenge App Includes Free Hints to help you find the missing word, Get Further Hints for Free!. Beautifully designed! its Simple and Easy! 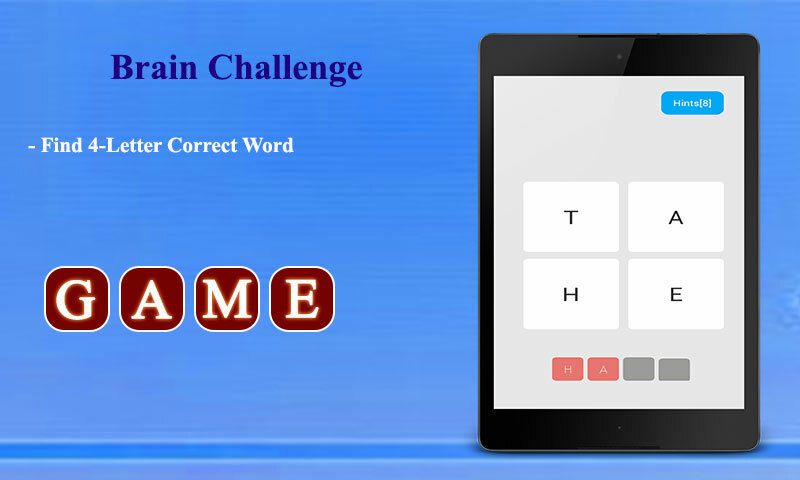 a) Select 4-Letter Word b) Select 5-Letter Word c) Find the missing word in a Quote d) Guess the Picture Teachers, Parents should use this Brain Challenge App, and tell their children, students as well to use this App. So every one can Increase their Brain Skill. Totally Free, Just play and enjoy! How to play: â˜… You just have drag your finger over and combine letters in the word pad to guess the word. â˜… if you find correct answer than it will animate the empty boxes. â˜… You can see your guess in preview too. Your Feedback is very valuable to us, Please let us know so we can try to work more perfectly.